If you’re unaware of the Siena International Photo Awards you need to get out from under your rock. These awards received 48,000 submissions from over 150 countries around the world. 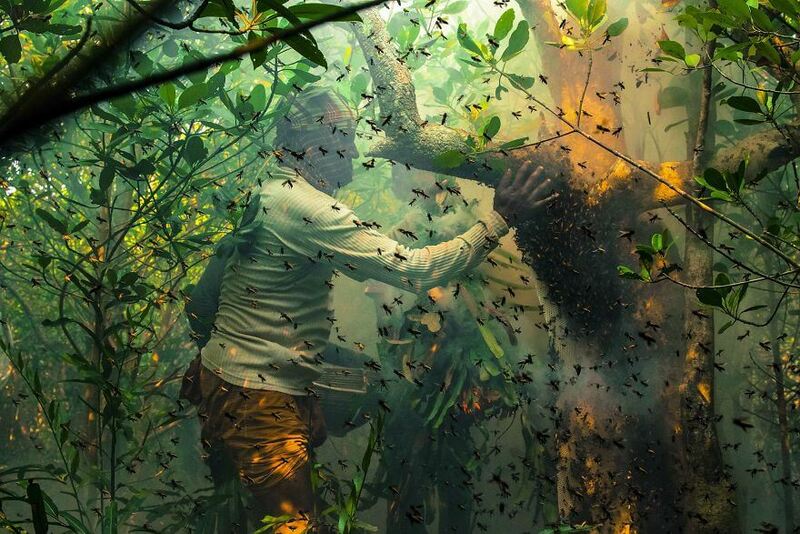 Similar to the winners in past years, these pictures are absolutely stunning. The entrants compete in 11 categories ranging from landscapes to portraits and everything in-between. I’ve compiled some of the most intriguing pictures from the competition. This picture won first place in the Fascinating Faces and Characters category. 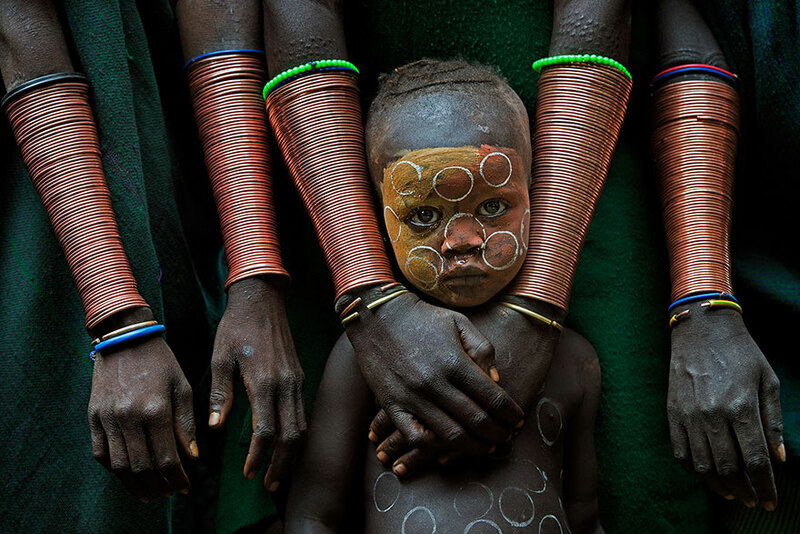 In Ethiopia, kids of the Suri tribe are being overprotected by their families. The young are the only hope and inheritors of being able to keep the traditions of their Suri culture alive. Overprotection is the only way they’ll be able to achieve that. This is one of the most wholesome pictures of all time. It won a Remarkable Award in the Fascinating Faces and Characters category. Seeing an elderly person’s reaction to some of the latest technology is honestly so pure and heartwarming at the same time. 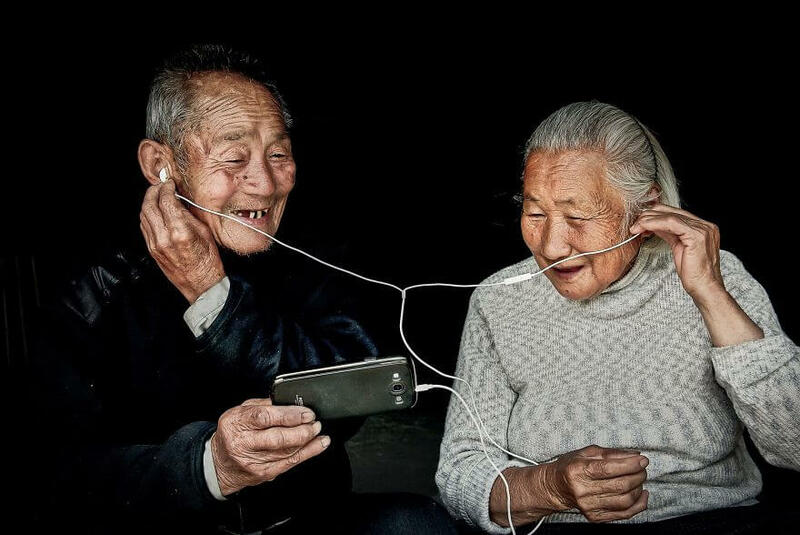 These two are genuinely enjoying what they’re seeing. This picture received an honorable mention in the Journeys and Adventures category. 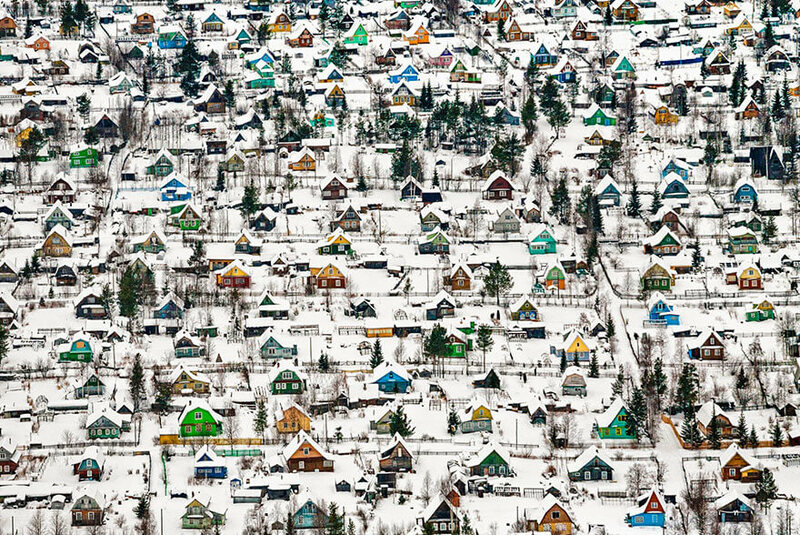 This picture was taken in Northern Russia, and it’s quite spectacular. Despite it being in the 21 century, many people in the North still maintain their traditional culture. They keep a close connection with nature and genuinely care about everything surrounding them. There’s something incredibly calming about this picture and I don’t know why. The uniformity and the perfection of this is incredibly eye-catching. 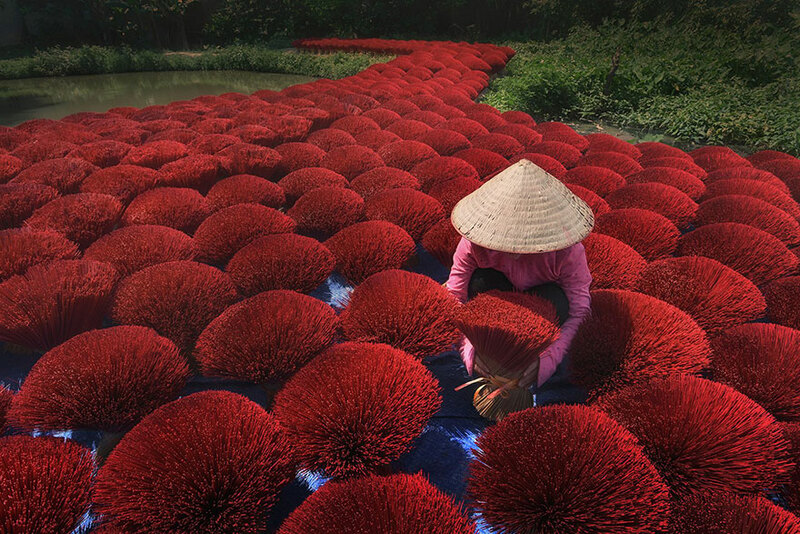 In Vietnam, red is the color of good luck and is traditionally considered the symbolic color of happiness. Joss sticks are offered at altars to obtain good business and good fortune. This little kid’s name is Asmat Ara and she’s clearly traumatized. After the recent violence that has plagued Myanmar and the Rohingya, she had just entered the refugee camp the night before this picture was taken. 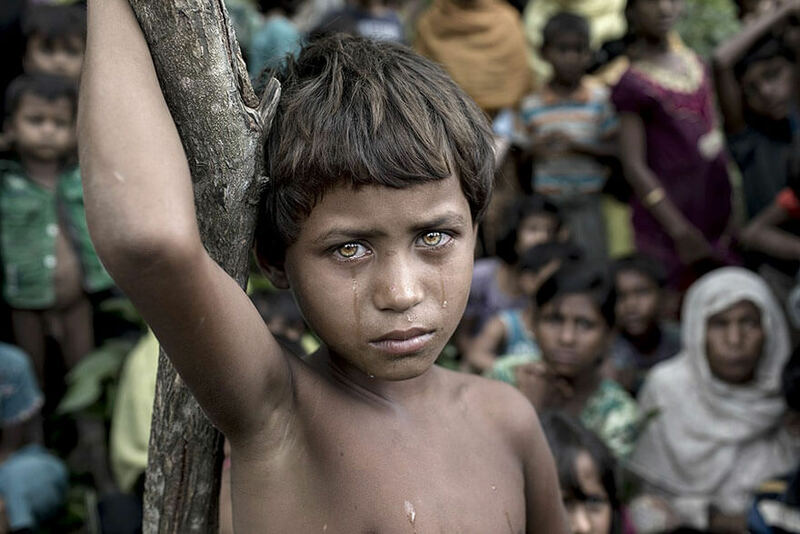 Most of these refugees were fleeing for their lives as they tried to enter Bangladesh. This picture was awarded the Photo of the Year. This is another winner in the Animals In Their Environment category. 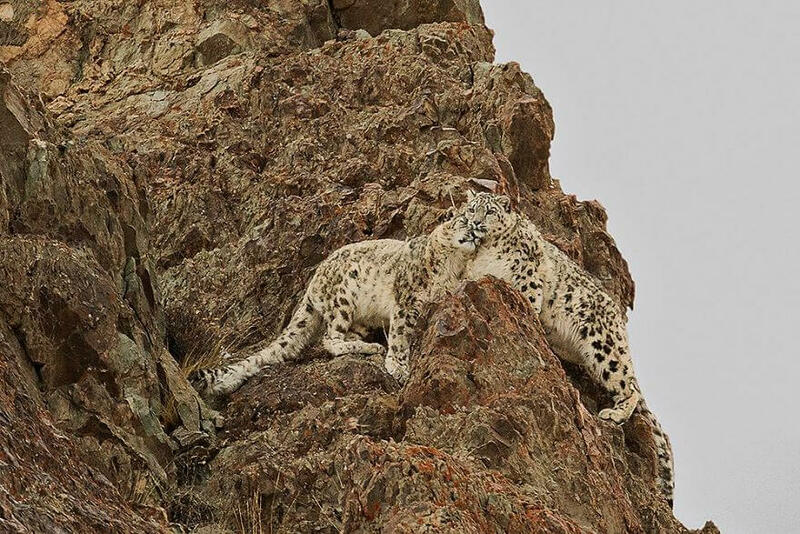 If you’ve ever had the pleasure of being able to watch mountain lions, or leopards, or even mountain goats maneuver across the face of a cliff, it’s astonishing. These two love birds were caught red-handed in the middle of cuddling and it’s adorable. 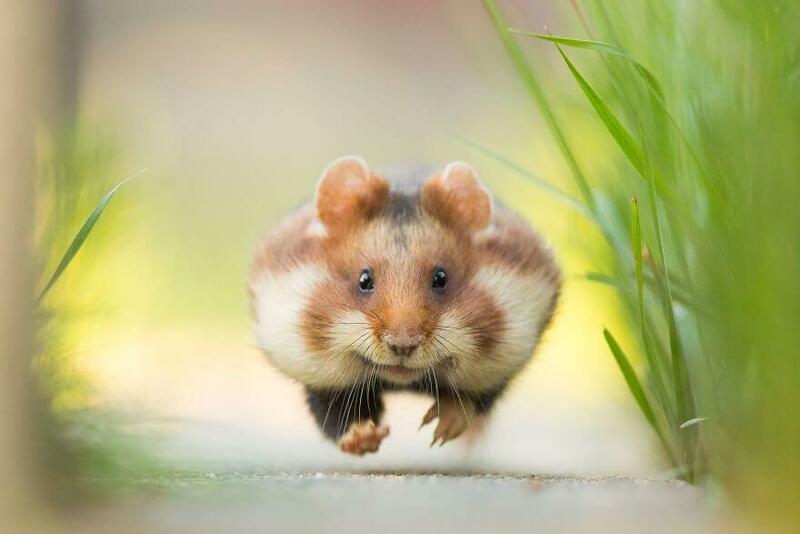 This picture of a sprinting mouse was given the Remarkable Award in the Animals In Their Environment category. You don’t usually get to see these animals at their perspective. If you look at the blades of grass (that look like massive trees) beside the mouse, you can really see how low this picture actually is. Every time I take a look at this picture I want to immediately start looking for Waldo. Doesn’t it look like a map that you’d have to search for that red striped dude in? No? Just me? This picture ended up winning first place in the Architecture and Urban Spaces category. It’s from the Russian city of Arkhangelsk. Hey look, everyone, it’s Nemo. 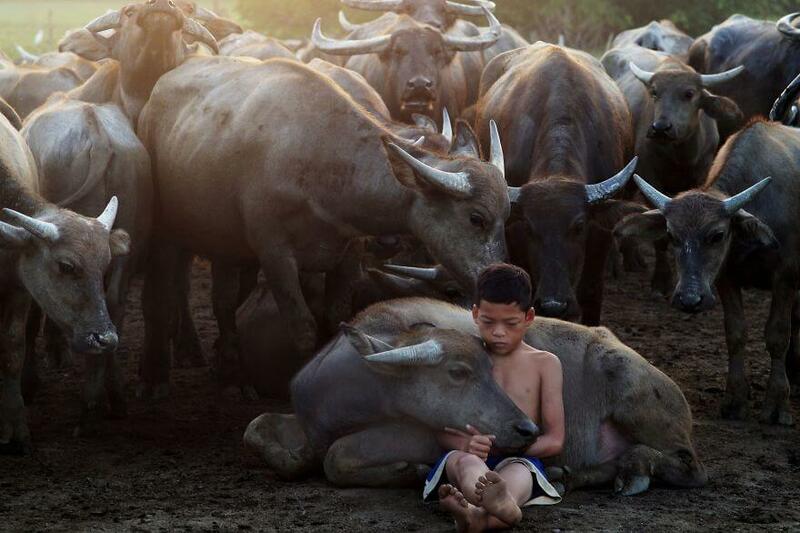 This picture won a Remarkable Award in the category of Animals In Their Environment. 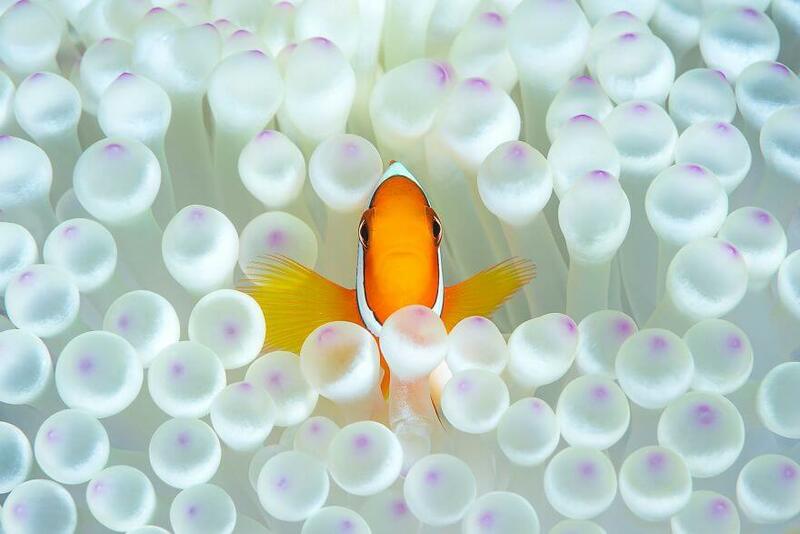 The clownfish has forever been tainted by the movie Finding Nemo. You can no longer look at one without immediately diving into the story about Nemo. They’ve become the biggest celebrity in the ocean. 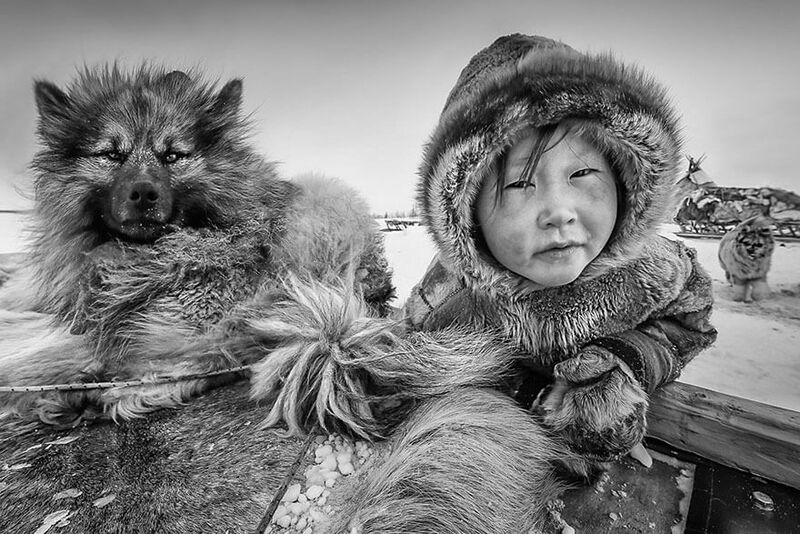 This picture won an award in the Fascinating Faces and Characters category. The title of the photograph is Sharing Emotion, and you can definitely feel it in this picture. There’s something to be said about the connection that humans and animals share with one another. This picture perfectly describes that. This picture won first place in the Beauty of The Nature category and it’s very easy to see why. 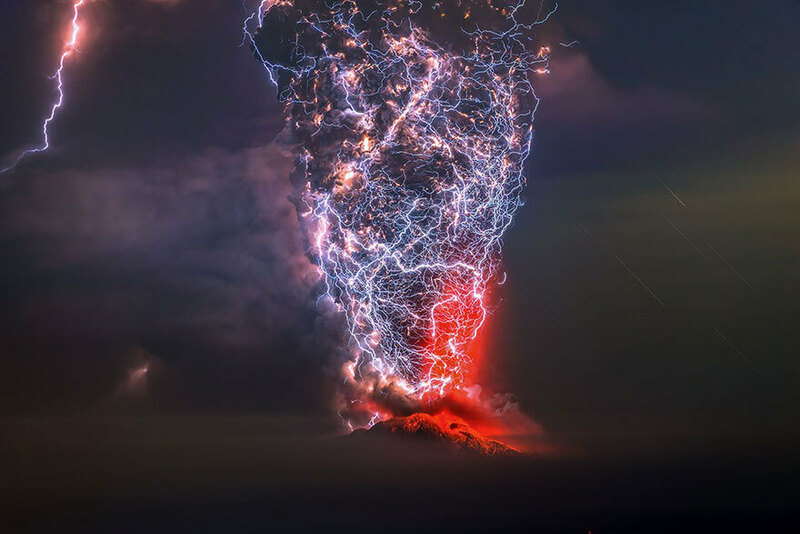 It was taken during a violent eruption of the Calbuco volcano in the Lagos region of Chile. This literally looks like something straight out of a movie. Actually, if I saw this in a movie I would probably think it’s WAY overexaggerated. This picture won first place in the Animals In Their Environment category. It’s an absolutely incredible picture. A leopard seal got into a lagoon before low tide. The seal was hiding waiting for young penguins as they got closer. 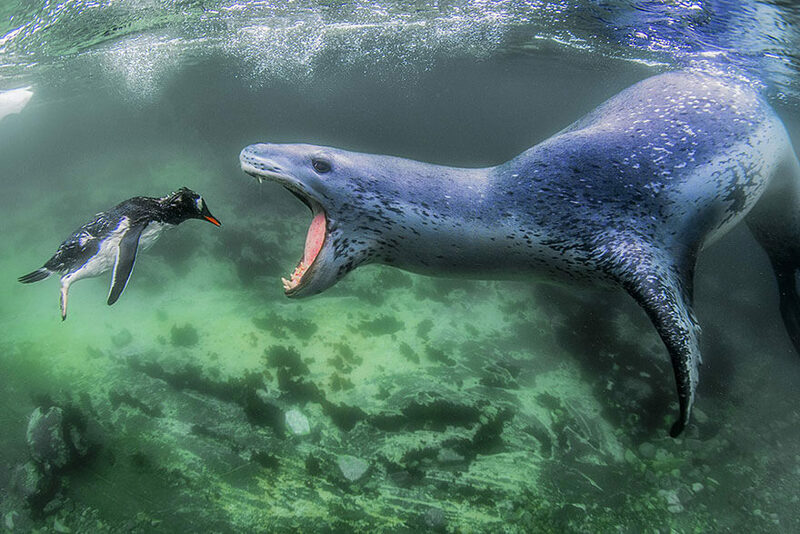 This penguin got away twice before it was caught a third time and met it’s ultimate demise. This picture got second place in the Beauty of the Nature category. It takes place in the center of Saudi Arabia. It shows the Bedouins migrating with camels from place to place in search of water. 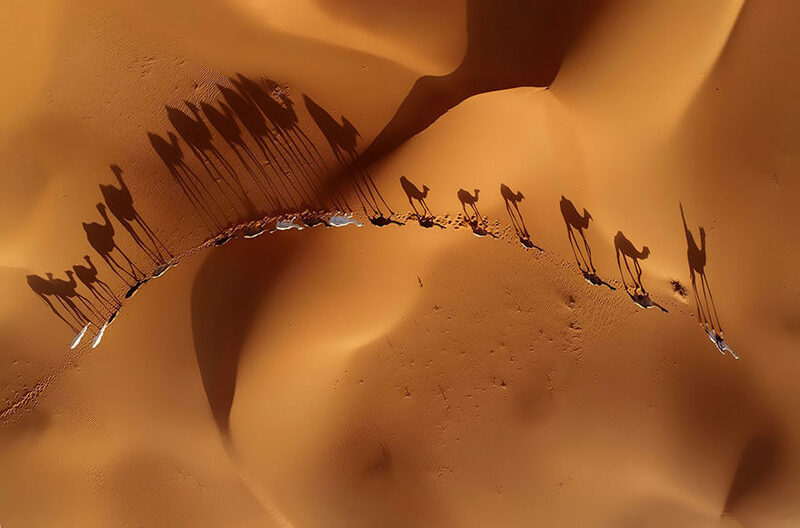 A bunch of nomads with their camels create such a perfect shadow in a peaceful atmosphere. If you’re anything like me, you’re probably terrified of ants. The thought of being around a colony of them gives me the heebie-jeebies. 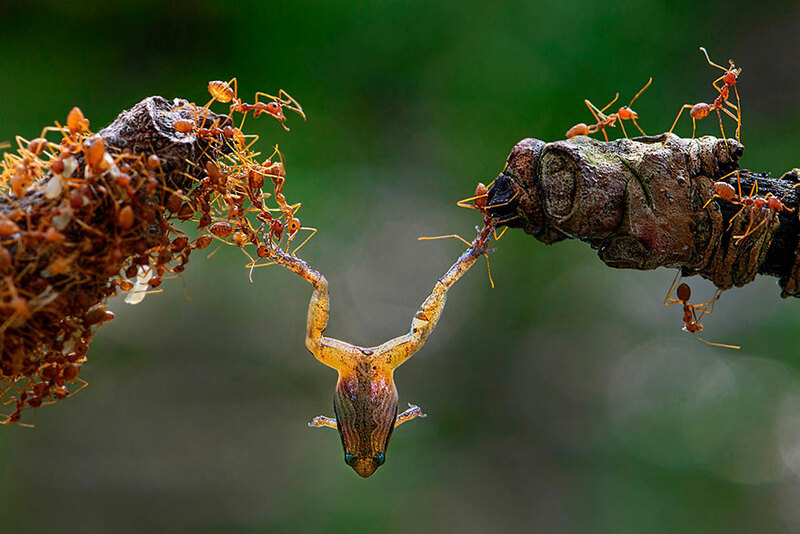 This picture shows all the teamwork and collaboration that ants are capable of. This frog wanted to eat a few ants, but it looks like the tables have turned. This is one of my favorite pictures from this article. It was taken in Mizerna, Poland. 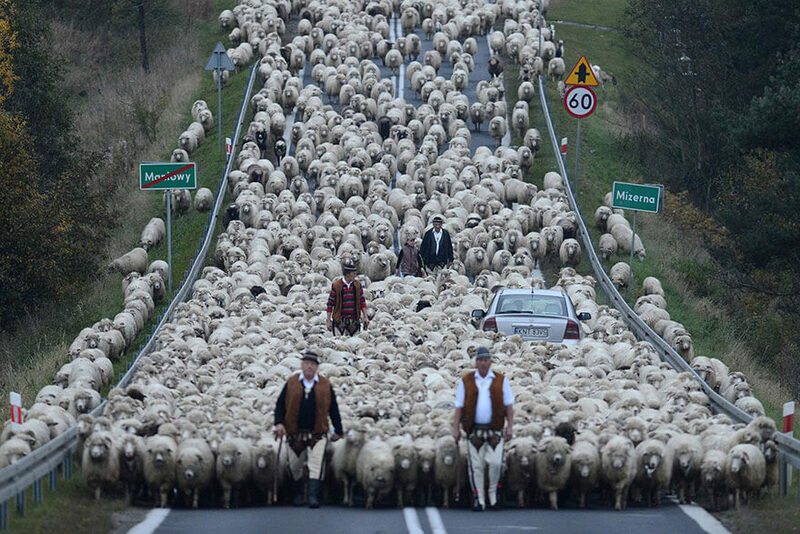 This traditional sheep grazing called “Redyk” has more than 1,500 animals. The shepherds bring the animals to the city of Nowy Targ from the Low Beskid Mountains. The owners take care of them in the winter and then bring them back to the mountain in the spring. This picture was captured just off of the coast of Sri Lanka. It won third place in the Animals in their Environment category. 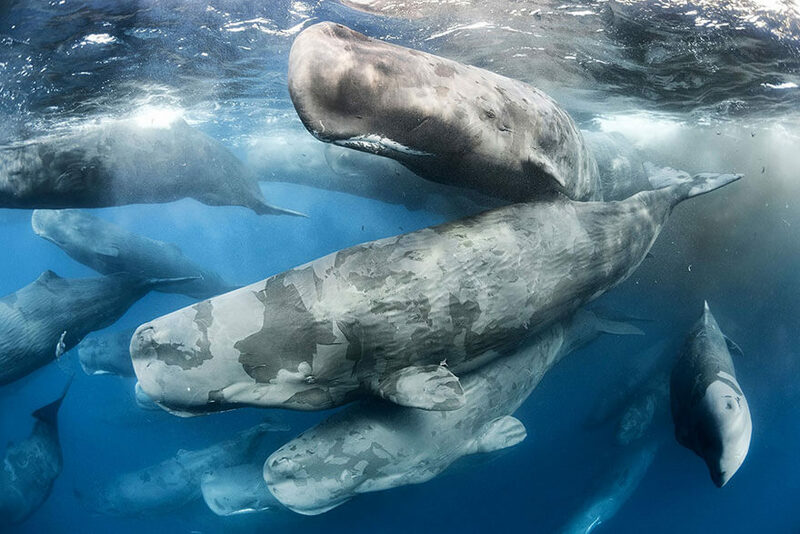 The sperm whales pictured here had just emerged from hanging around in a giant cluster. If you look to the top right corner, you can see some cloudy water, from, uh, maybe you don’t want to know. I don’t blame that little girl for having this absolutely terrified look on her face. This picture, taken by Alla Sokolova, won a Remarkable Award in the Journeys and Adventures category. 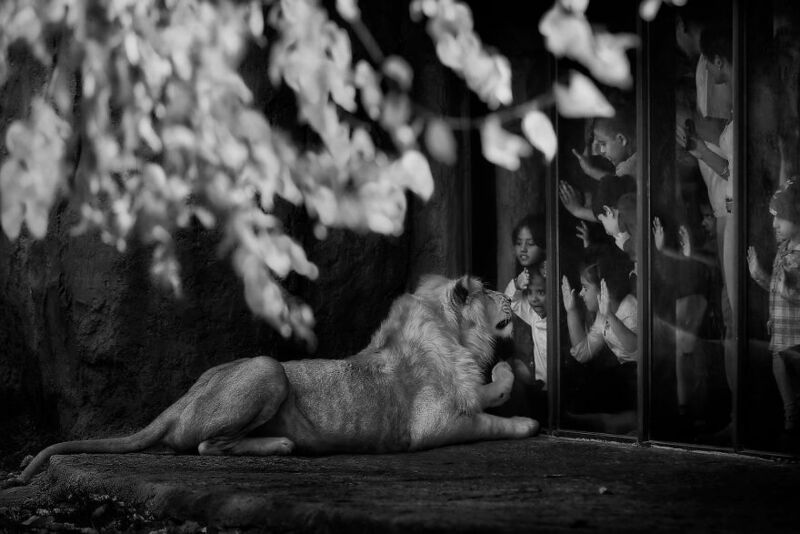 The kids see a majestic lion, but the lion sees lunch for three days at least. Such an interesting perspective. 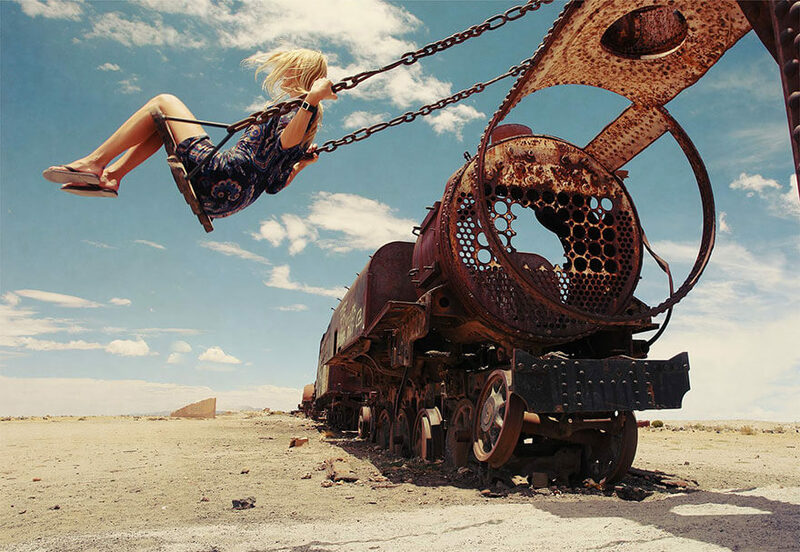 This is a picture of a girl named Tanya playing on a swing in the Bolivian train cemetery. Yes, there’s an actual train cemetery. It’s a place where many trains were abandoned at the beginning of the 19th century and is connected to the city of Uyuni by old train tracks. This picture won a Remarkable Award in the Journeys and Adventures category. If this picture makes you severely uncomfortable, like it does for me, then don’t worry, you’re not alone. The sound of buzzing makes my skin crawl. I can’t imagine being near this many of them. This is just terrifying. 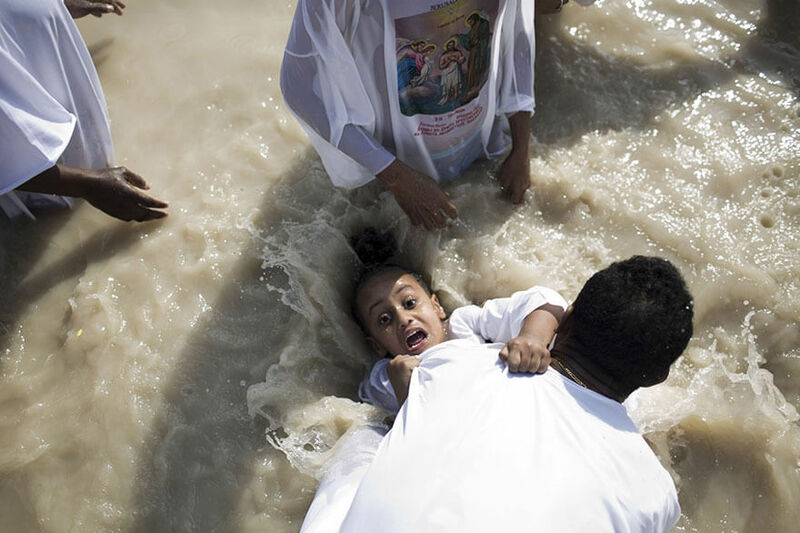 A young girl is getting baptized at the Qasr al-Yahud Baptismal site, near the West Bank of Jericho. This is the site where Jesus was baptized by John the Baptist. Christian tradition marks this site as the place of the ‘spiritual birth’ of Jesus. This baptism is being done by an Eritrean Orthodox Christian pilgrim.